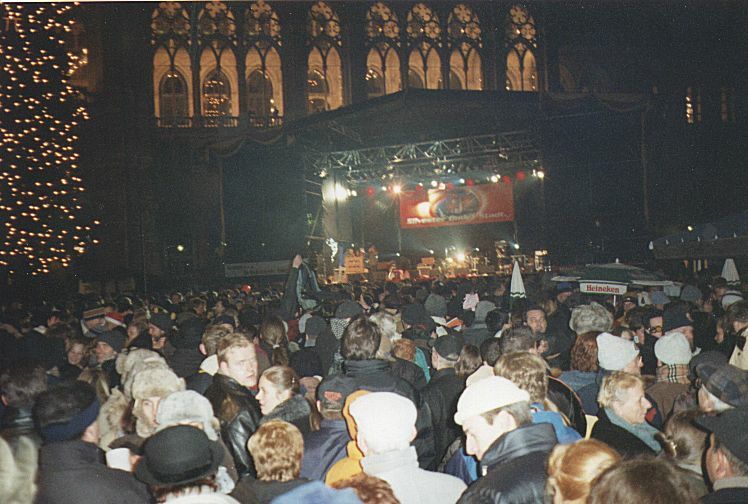 A lot of people at the New Year party in front of the City-hall. The motto of this party was the waltz. At 12 am all people dance waltz on the place.